100% of the electric we purchase is generated by the wind. 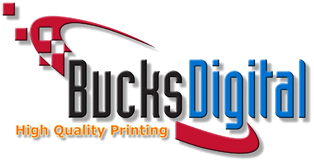 Bucks Digital Printing cares about our environment and we put ourselves to the task each and every day. No hype, no games, no fooling. We're proud to have taken this and many other steps within our company and our homes to help preserve the planet and its resources for future generations. We use only recycled or certified "house" papers. We recycle all of our waste and trimmings (including cardboard cartons and paper wrappings). We recycle all of our cartridges and bottles. We recycle all of our personal cans, papers, and plastics. We use only time- and temperature- controlled thermostats. We turn off all unused lighting and equipment at day's end. We wash our own cups, dishes, and silverware. We do not use disposable goods. We perform scheduled maintenance on all equipment, install only energy efficient appliances, lighting, etc. In March 2009, we asked over 400 companies and individuals to answer a few specific questions about how being "green" affects their and their customers' product and vendor selection. What did they say? There is no substitute for quality and service. However, customers are showing enough interest in “green” practices that if you have a solid reputation and commitment to excellence, your “green” practices will boost that standing. But don’t just give it lip service by buying a product, passing on the cost, and adding a logo to the job. That doesn’t make you green. That makes you a middleman in the sale of green products and customers aren’t impressed. The bottom line? Promote your true green practices. Promote what you, your company, employees, co-workers do both at the office and at home. That’s the real stuff. That’s the true and meaningful “greening” of America.